Casper, WY Sept. 14, 2004, Community Health Center of Central Wyoming affiliated with UW family practice residence in partnership with the WAMMI program. Cortney Vandenburgh, a forth year medical student on clerkship from Kanas City University of Missouri of medicine and bio-science, with Jeremy Starr D.O. 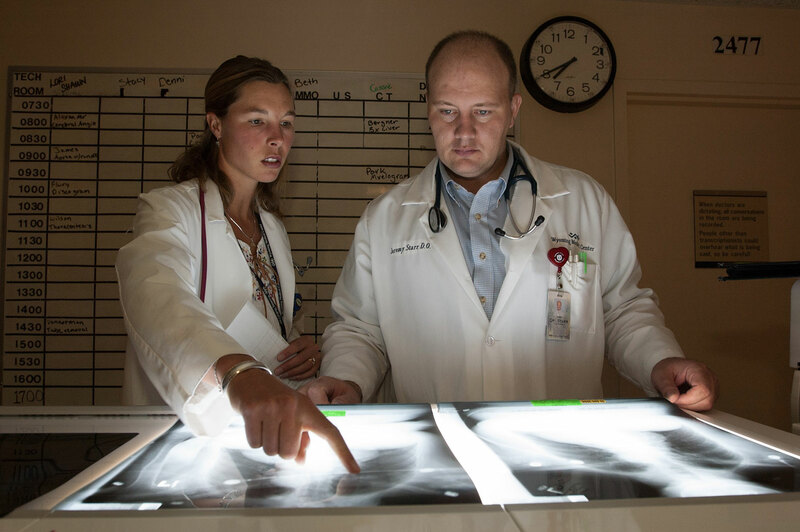 Chief Resident of Wyoming Medical Center, on early morning rounds, visit patients, check x-rays, and other clinic responsibilities.